The Third Istanbul Finance Summit (IFS) was held on 24-25 September 2012 in Istanbul, Turkey, under the theme “Finance in a Fragile World: Risks and Opportunities.” This year’s summit took pace with a loaded agenda on securities and finance industries and hosted some of the most important figures of the global financial world from North America, Europe, the Gulf Region and East Asia. SESRIC was represented at the Meeting by Mr. Nadi Serhan Aydin and Mr. Mustafa Sahin, Centre’s Researchers. The IFS is designed to provide an annual platform for state of the art discussions on the current state and future direction of the world finance. The Summit is a broad-ranging event, bringing together, inter alia, the leading scholars and practitioner from all around the globe. The opening speech of the IFS 2012 was delivered by H.E. Ali Babacan, Deputy Prime Minister, Turkey. 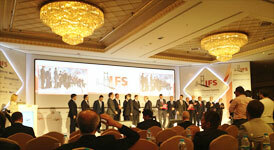 Other speakers of the IFS 2012 included H.E. Taner Yildiz, Minister of Energy and Natural Resources, Turkey; H.E. Zafer Çağlayan, Minister of Economy, Turkey; Dr. Erdem Başçı, Governor, Central Bank of the Republic of Turkey; Mr. Thomas Maier, Managing Director, European Bank for Reconstruction and Development (EBRD); and, Mr. Dimitris Tsitsiragos, Vice President, International Finance Cooperation (IFC) – private sector arm of the World Bank Group. The Summit received extensive coverage from the international press. 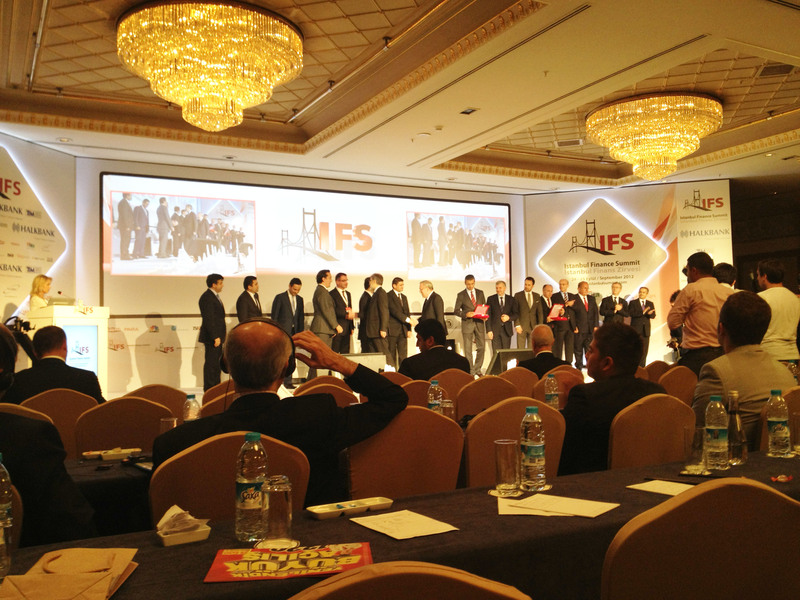 The IFS 2012 provided a unique opportunity for delegates to interact and allowed for showcasing of institutional strengths and capabilities in a unique international setting. The Third Summit featured other eminent speakers from various fronts including, but not limited to, banking, corporate finance and project finance.